Recently the staff of HauntedIllinois.com attended the largest trade show for the Haunted Attraction Industry, Transworld's Halloween and Attractions Show, in St. Louis, Missouri. During the course of the show, haunters had the opportunity to take advantage of many seminars, view makeup demonstrations and walk through a massive trade show floor. There was definitely a lot to take in. With 287 vendors exhibiting (source: Transworld’s website), the show floor was bigger than ever. At the convention center there was a plethora of animatronics, static props, makeup, lighting, special effects, masks, costumes and basically anything else you would ever need to run a haunted house. A lot of companies were also there to offer important services like haunt insurance, consulting, haunt design & fabrication, online ticketing and more. With so many booths there, it was difficult to make it through the entire show in the short time we had. Although we saw a wide variety of products, a prominent theme emerged on the show floor. "IT" seemed to be everywhere. There had to be more than a dozen companies that were displaying a Pennywise product of some sort, including props, masks and costumes. Escape Room City, which was located on the far end of the show floor, was comprised of a large group of companies providing everything from consultation services & props to complete turn-key escape rooms. With the emerging popularity of escape rooms in recent years, if you wanted to add an escape room to your haunted attraction, this was the place to be. While it was business as usual on the trade show floor, Transworld did seem to have more of a social vibe this year with all of the after hours activities and show-sponsored parties. More information about the social events can be found on the "After Hours" page of this review. Overall, the show was great and still remains in the lead as the "must see" show in the Haunted Attraction Industry. Throughout the rest of this review, you will find 588 pictures and 47 video clips. The pictures taken on the show floor are sorted alphabetically by company name and each picture includes a link to the vendor's website, so you can check out all they have to offer. All of the video clips are also labeled with the company name & hyperlink. We hope you enjoy our Transworld Halloween & Attractions Show review. 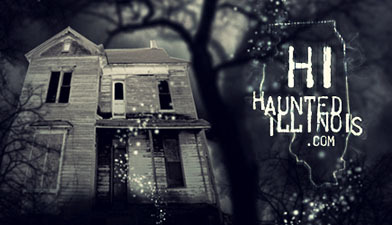 Feel free to send feedback to hauntedillinois@gmail.com.